psychylustro by Katharina Grosse. Photo by Steve Weinik. 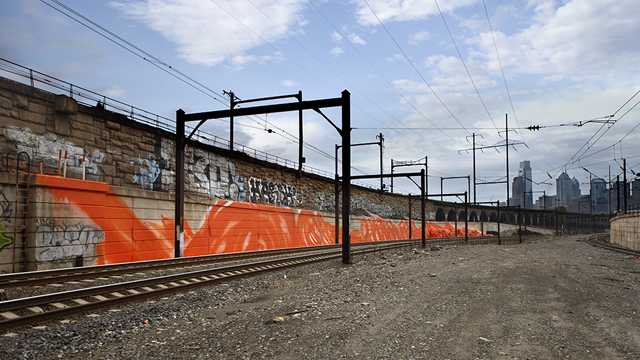 In the spring of 2014, the City of Philadelphia Mural Arts Program installed psychylustro, a multi-site artwork by Katharina Grosse, across sections of the Northeast Rail Corridor in Philadelphia. 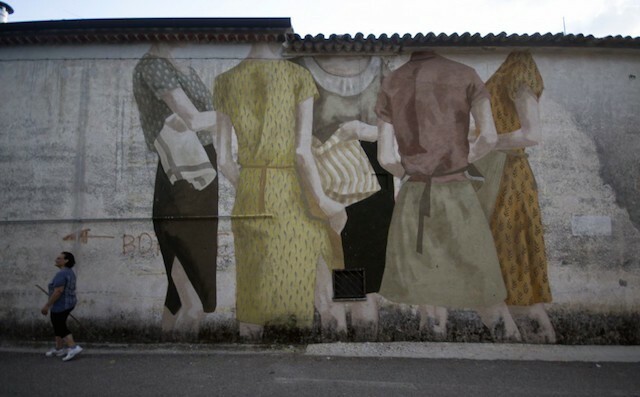 Grosse treated walls, warehouses, and even trees as her canvas. 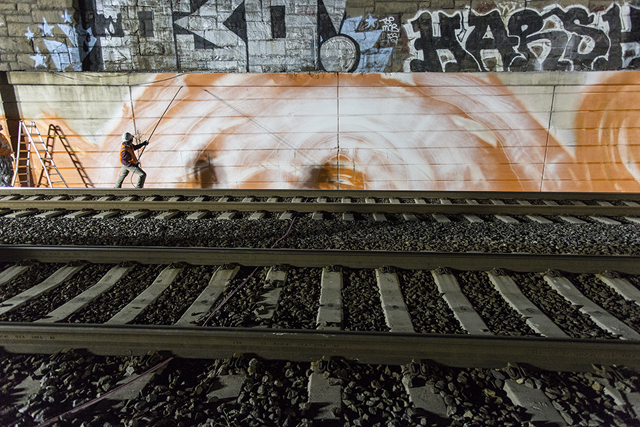 psychylustro‘s bold colors and brush strokes certainly changed the scenery for Amtrak commuters, and Hyperallergic described the work as “a mysterious, puzzling, and surprising presence.” But psychylustro was also an intervention at a site usually controlled by graffiti writers. There was graffiti along the rail corridor before Mural Arts and Grosse got to work, and it’s no secret that psychylustro was tagged and bombed. 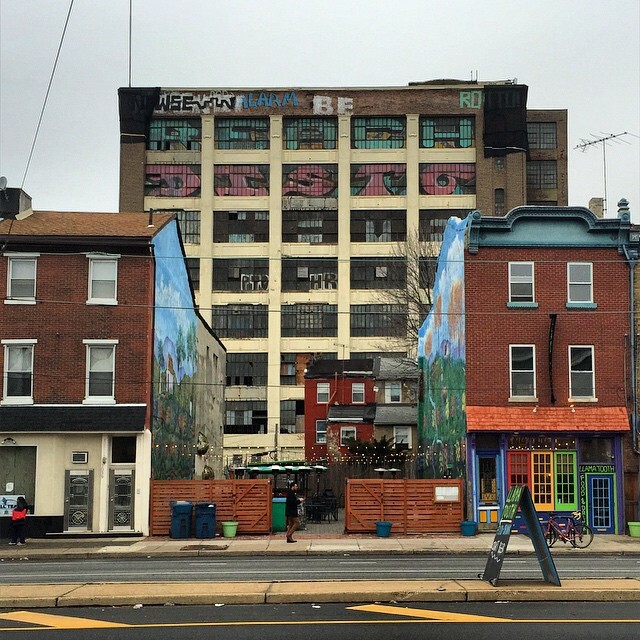 For six months, Mural Arts regularly revisited the walls to apply fresh coats of neon paint. And then… they stopped, leaving psychylustro to the elements, the writers, and the buff. The installation of Katharina Grosse’s psychylustro. Photo by Steve Weinik. 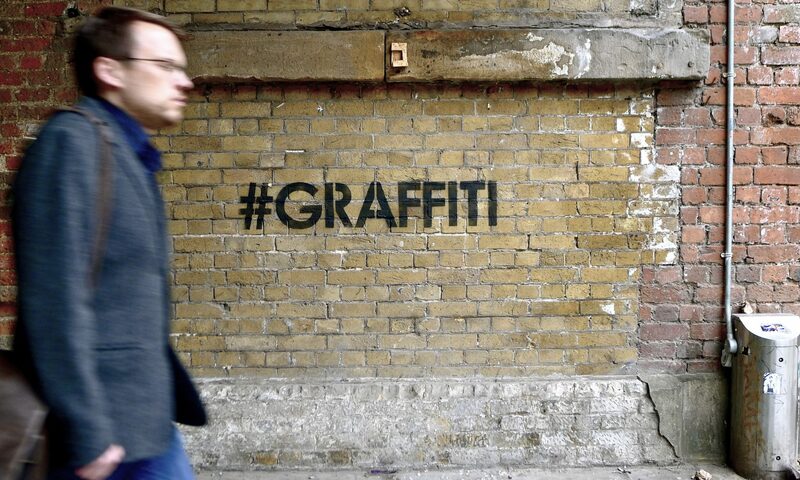 Although psychylustro did cover notable graffiti (including works by Retna, Nekst, Skrew, Curve, and Ntel), it also presented an opportunity: Before installation began, Mural Arts invited Martha Cooper to document the graffiti at the sites where psychylustro was going to be. And recently, a little over a year after Mural Arts stopped maintaining psychylustro, they sent photographer Steve Weinik to revisit the installation. 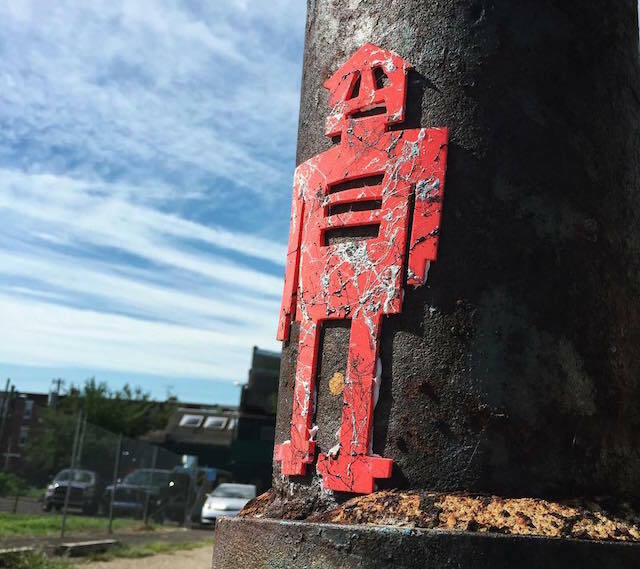 The result is a likely unparalleled documentation of graffiti along the Philadelphia section of the Northeast Rail Corridor in 2014 and 2015. 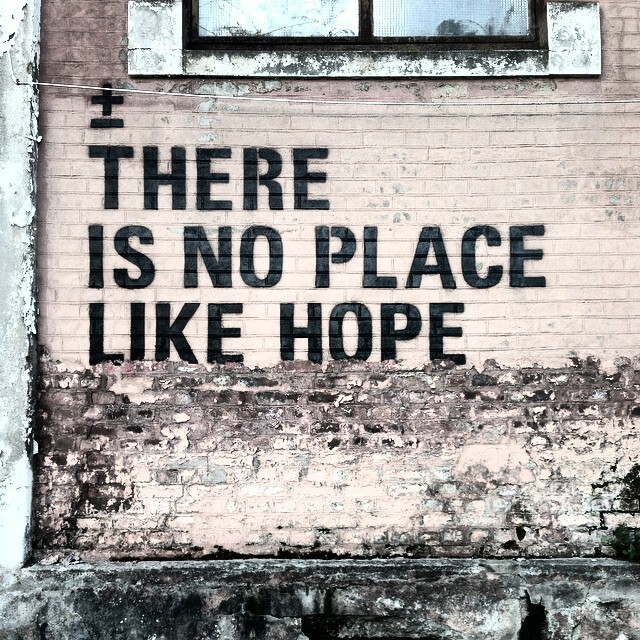 One nice perk of working at Mural Arts is that I have access to those photos. Since I’m about to leave Mural Arts for New York City, it seems like the perfect time to show the evolution of the psychylustro walls, from the graffiti captured by Martha through to how they look today. The photo captions are incomplete, but hopefully useful nonetheless (thanks to NTEL and Air Rat for help with captions). Enjoy! 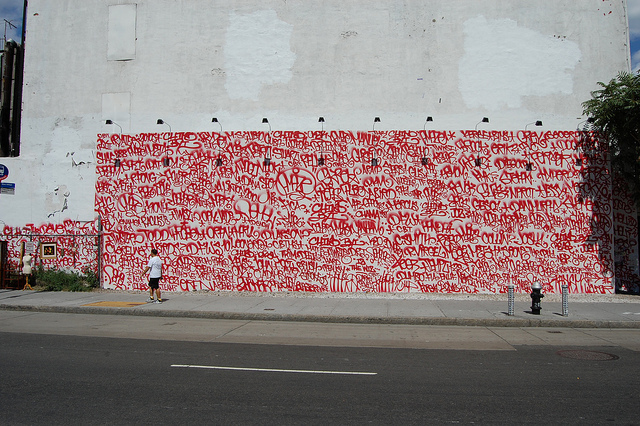 Sever, Skrew, Cense, Retna, and more. April 2014. Photo by Martha Cooper. 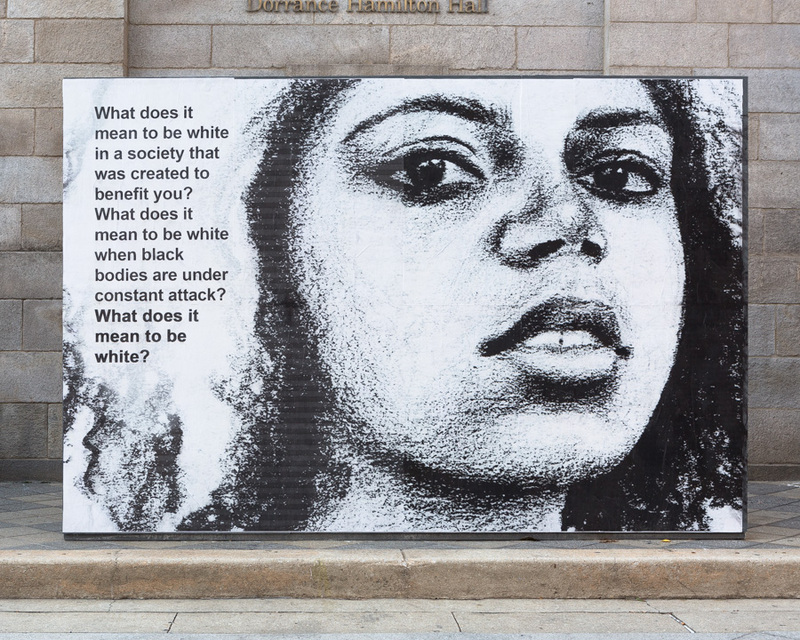 Michelle Angela Ortiz installing a piece for the Cit of Philadelphia Mural Arts Program. Vandalog has been silent for about a month. My apologies. I knew it would be a busy month, but I didn’t realize just how much would have to fall to they wayside. 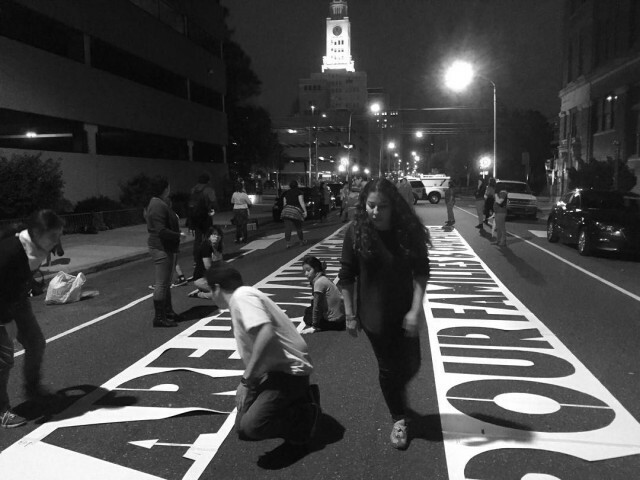 My October was absorbed by Open Source, an exhibition curated by Pedro Alonzo for the City of Philadelphia Mural Arts Program. In one way or another, I’ve been working on Open Source in my own very small way for about two and a half years. 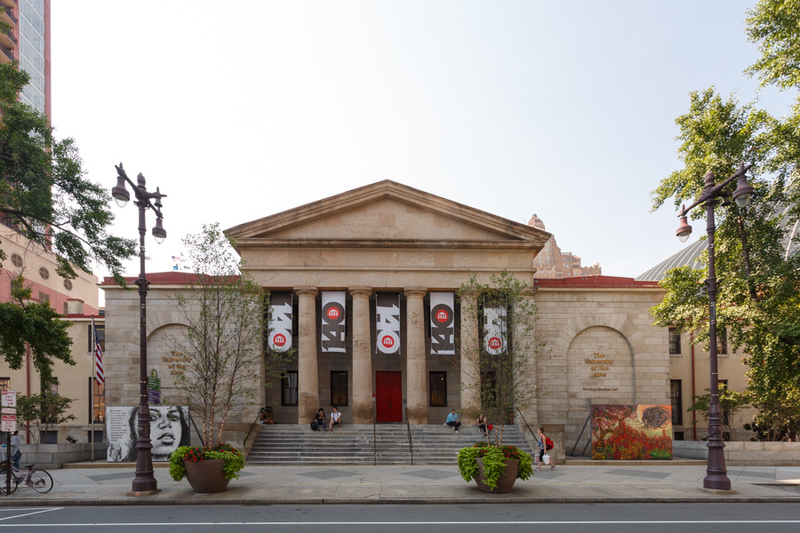 In October, the exhibition finally culminated in a month-long series of art installations and events. I found the entire experience extremely rewarding, maybe even life-changing. It’s always an honor to work for Mural Arts’ Jane Golden, and adding Monica Campana and Pedro to the mix made took things to new heights. Still, that’s highlighting three out of about a dozen projects, which leaves me curious: What did people think about Open Source? Was it a success? Was it relevant? Philly seems to love it, but does the internet care (does that even matter though)? I’d love to get some feedback on the project. Leave a comment or, if you prefer, shoot an email. Thanks, and again, my apologies for the unexpected hiatus on the blog. Hopefully things will get back on track this week. 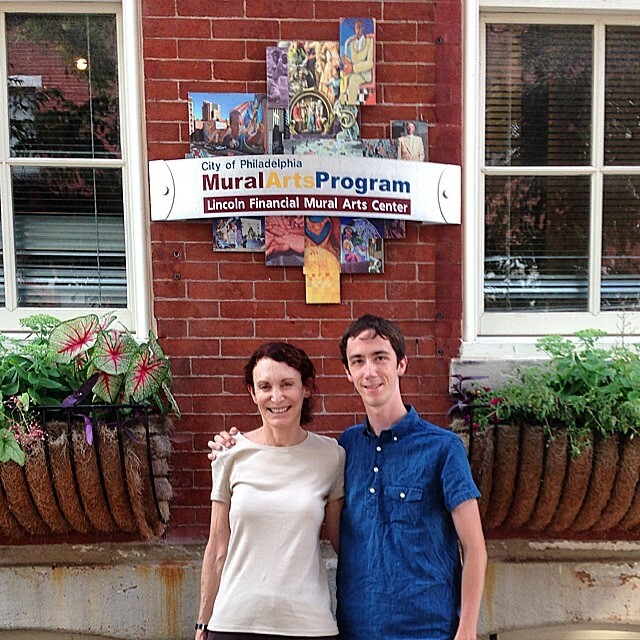 As you may have seen earlier this week on Instagram or Twitter, on Tuesday I started a new job at the City of Philadelphia Mural Arts Program, an amazing public art organization that has been transforming Philadelphia for three decades. I couldn’t be more excited about this new job. Why should you care about my new employment status? 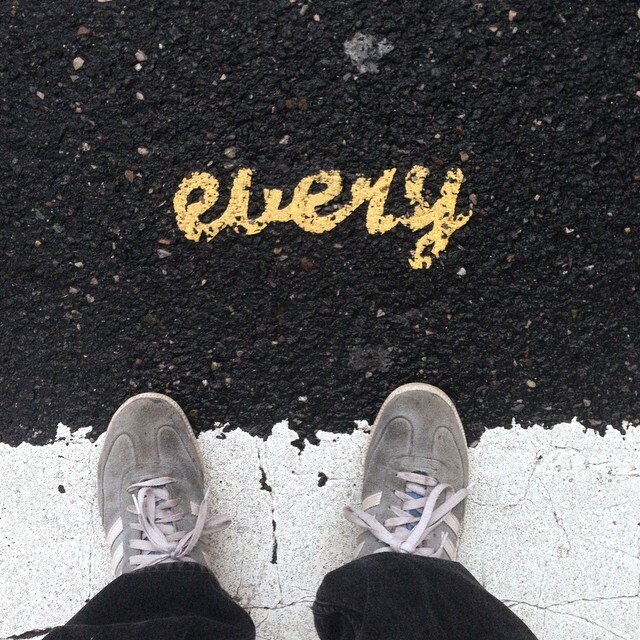 Transitioning from being a student to working full time for an organization that does work that overlaps with what we cover at Vandalog may mean some changes for the blog. I’m not sure exactly what those changes will look like, or how significant they will be. I’m not planning to shut Vandalog down, focus exclusively on legal work, or write a weekly post about what the Mural Arts Program is up to. I hope you will use common sense and be aware of this new potential conflict of interest as you read Vandalog. 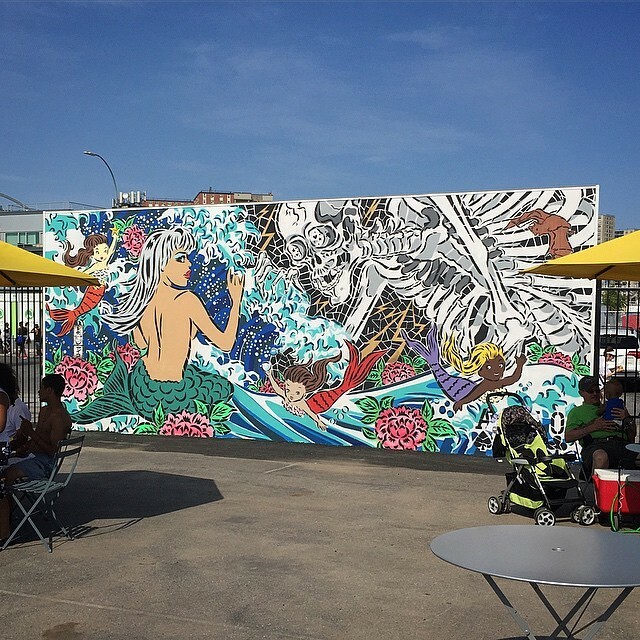 For example, the Mural Arts Program has worked extensively with Steve Powers, so I’m probably not going to post a rant here if I think his next mural is terrible. And I’ll try to be conscious of this conflict of interest too, pointing it out when necessary and appropriate. I figure we’re all intelligent and respectful enough of one another that this won’t be an issue, and may in fact lead to some positive changes for the site, like more guest posts to fill any gap left by me having less time to write.